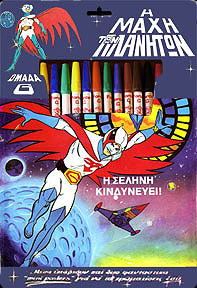 Special sets that included 12 colored marker pens, two mini-posters with black and white line art of the front covers and additional images of related items like the Phoenix that were meant to be colored in, and four postcards to send messages to friends. 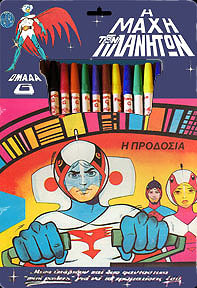 At least four sets were issued, each featuring a cover from the first four issues of the Greek comic books. 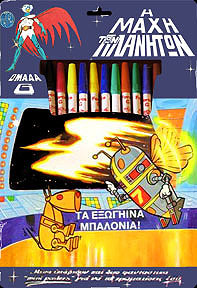 1981, by Vioria. 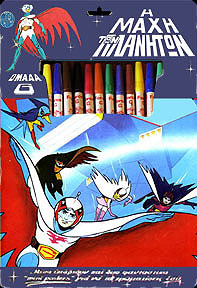 Unless otherwise stated, all program material, situations, descriptions and depictions are copyright © Tatsunoko Production Co., Ltd.